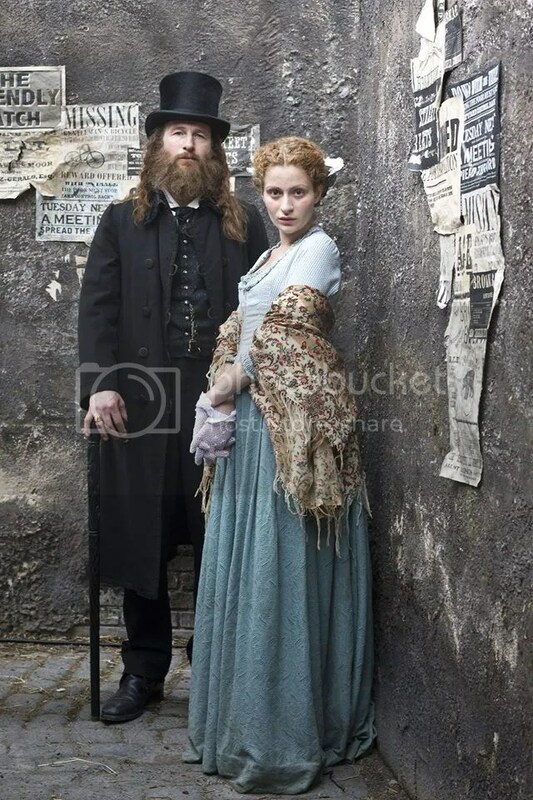 The episode of Ripper Street that features Paul Kaye has been confirmed for broadcast on 2nd December. He will appear in Episode 6 of 8 in the second series of the period drama set in 1890’s Whitechapel. Kaye will play the role of the mysterious and charismatic scholar, Gabriel Cain, in an episode called ‘A Stronger Loving World’. It will air a week on Monday (2nd December) on BBC1 at 9pm. For more information about the episode click here. If a further (if slightly tenuous) TVO connection to the show were needed, Being Human’s Damien Moloney plays the role of Detective Sergeant Albert Flight in the series. You’ll recall that Colin Hoult and Julian Barratt both featured in the last series of Being Human with Moloney. And finally, in honour of today’s Dr Who 50th anniversary celebration, we thought it only right and proper to point out that this week’s Ripper Street paid homage to Dr Who by including streets named after the first and second Doctors. For the full story, take a look at this. Awesome. For more information about Ripper Street visit the BBC’s website.